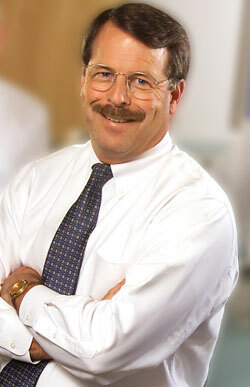 Tom McGann, MD, has been named executive vice president for clinical practice, WellSpan. In his new position, he will maintain senior executive oversight of WellSpan’s service lines and the WellSpan Medical Group. Additionally, he will assume responsibility as executive sponsor of Project One, a project which is evaluating different electronic health record (EHR) systems to determine the best fit for WellSpan. McGann will continue the critical work of leading and developing the WellSpan Provider Network. It is important to continue to increase the size, scope and effectiveness of WellSpan’s physician network, which includes the employed providers of the WellSpan Medical Group, as well as the private-practice members of the WellSpan Provider Network. Under McGann’s leadership, WellSpan will continue to develop these structures and enhance the level of integration among all providers and clinical staff, who work to help residents of the region achieve their health goals. The successful implementation of Project One is required in order to achieve the level of care and process standardization that WellSpan patients will require under population health. This initiative will touch every member of WellSpan and represents a giant leap toward a culture of “working as one” across entities, communities and levels of care. McGann will work in tandem with John Porter, executive vice president and chief operating officer. Together, they will be responsible for assuring the integration of WellSpan's clinical practice and strategies with its day-to-day operation across the enterprise. McGann is a graduate of the Georgetown University School of Medicine and the York Hospital Family Medicine Residency Program. He completed a four-year commitment to the National Health Service Corps of the U.S. Public Health Service in Renovo, Pa., and later practiced at Dallastown Family Medicine for 16 years. Prior to becoming a WellSpan senior vice president and president of the WellSpan Medical Group in 2004, McGann also served as chair of the WellSpan Medical Group board and executive director of the WellSpan Provider Network.